PLEASANT HILL— Governor Brown only missed his budget by about $16 billion and still hasn’t connected the dots between the crisis and the government employee pensions. While residents across Contra Costa County face crushing taxes, falling home values, and high unemployment, the governor maintains favor with the union leaders by seeking a deal to cut government employee pay by 5%, increase taxes, and leave the pension problem untouched. This is the kind of deal that got us into this mess and yet here Brown is, making his own deal, selling out constituents to save face with union bosses who support him. Taxpayers United of America (TUA) and Free and Equal (F&E) today revealed government employee pensions for the Contra Costa area. California is the 13th state in a nationwide tour for the two organizations. “California’s government pension systems are crushing middle class Californians. 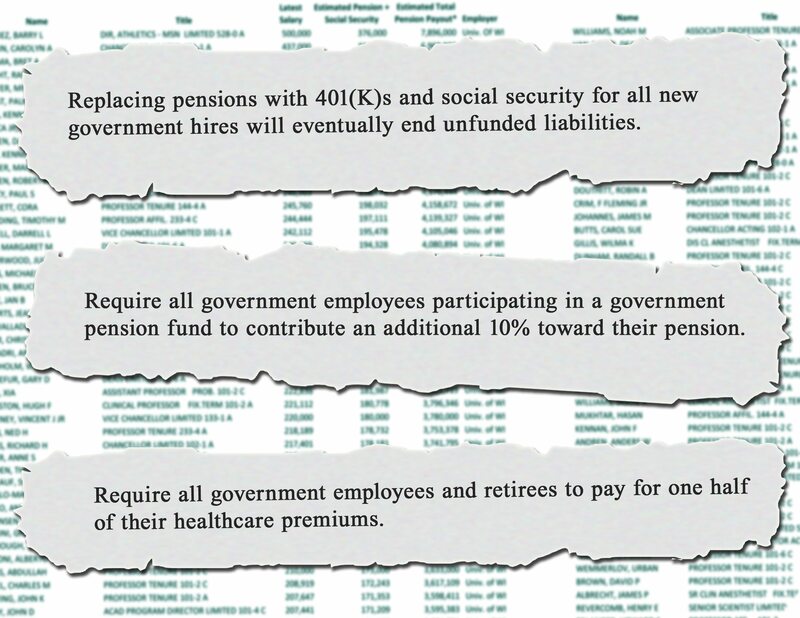 Replacing defined benefit pensions for all new government hires with social security and 401(k)s would eventually eliminate unfunded government pensions. If current government employees would just increase their pension contributions, they would preserve their pension benefits. We need a stable system that is fair to both taxpayers and beneficiaries or pension checks will stop coming.” Tobin, who will be attending Thursday’s Pacific Research Event that will examine public pensions. SAN FRANCISCO – Christina Tobin, Founder and Chair of Free and Equal Elections Foundation and Vice-President of Taxpayers United of America, has been invited to attend the Pacific Research Institute’s discussion of public pensions. The event, Public Pension Tsunami: Closer to the Shore?, is a discussion presented by Pacific Research Institute. It will be held at the City Club of San Francisco and will be moderated by Brian Calle Editor-in-chief, Calwatchdog.com and PRI Senior Fellow. “When I heard that Christina’s pension tour is now in California, the 13th state on her tour, I was excited to collaborate with her about this pervasive economic crisis”, stated Calle. “Attending this important discussion about the top budget issue facing governments across the Nation, will cap my tour here,” stated Tobin. “I am honored to join with leading reformers in a non-partisan effort. The goal of Free and Equal is to help foster a unified front, and to build Nationwide awareness for these dynamite organizations”, added Tobin. Tobin has been touring the United States, city-by-city and county-by-county, releasing government employee pension numbers, highlighting the problems of special interest money in the electoral process. Public Pension Tsunami: Closer to the Shore? Thursday, May 17, 2012 – 12:00 p.m. to 1:30 p.m.
For more information please contact Cindy Chin at cchin@pacificresearch.org or (415) 955-6110. SACRAMENTO— Lucky, lucky California! Today, Governor Brown announced a new budget! He was ‘off’ $16 billion on his last budget. But this time, yes this time, he’s sure he’s got it right! According to Brown, “You can never get it quite right…” No governor, YOU never got even close. He’s going to cut, cut, cut. And tax, tax, tax. He’s sure that’ll bring more jobs here! But Governor, why no mention of unsustainable California public pensions that keep digging the hole deeper? Taxpayers United of America (TUA) and Free and Equal (F&E) today revealed government employee pensions for the Sacramento area. California is the 13th state in a nationwide tour for the two organizations. “California’s government pension systems are crushing middle class Californians. Replacing defined benefit pensions for all new government hires with social security and 401(k)s would eventually eliminate unfunded government pensions. If current government employees would just increase their pension contributions, they would preserve their pension benefits. We need a stable system that is fair to both taxpayers and beneficiaries or pension checks will stop coming.” Tobin will be attending Thursday’s Pacific Research Institute event that will examine public pensions.